This was a really fine concert, interestingly programmed and exceptionally involving in the way it was played. The Doric is a quartet to watch. 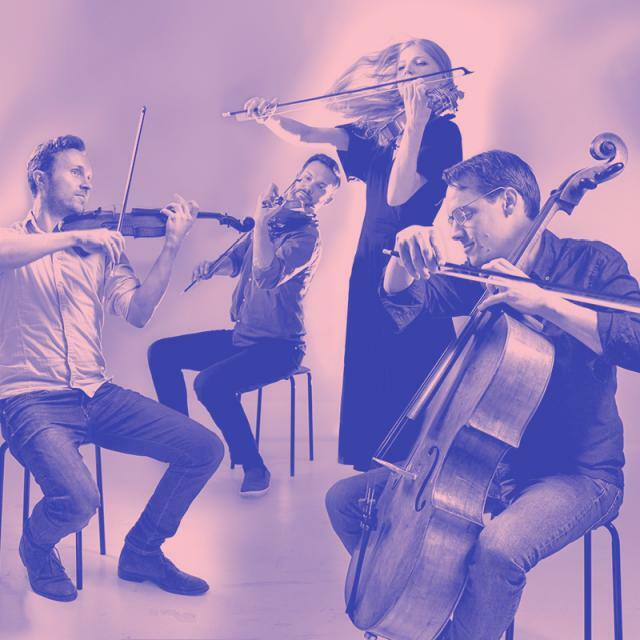 The Doric String Quartet has firmly established itself as the leading British string quartet of its generation, receiving enthusiastic responses from audiences and critics across the globe. Selected for representation by YCAT in 2006, the Quartet went on to win several prizes including 1st prize at the 2008 Osaka International Chamber Music Competition in Japan, 2nd prize at the Premio Paolo Borciani International String Quartet Competition in Italy and the Ensemble Prize at the Festspiele Mecklenburg-Vorpommern in Germany. In 2009 the Doric String Quartet’s first CD was released to critical acclaim on the Wigmore Live label and was chosen as Editor’s Choice in Gramophone. Since 2010 the Quartet has recorded exclusively for Chandos Records. Haydn’s Op. 33 is halfway through his great string quartet output. The optimism and high spirits in No. 2, capped by Haydn teasing the audience’s expectations in the last movement, has led to its nickname: ‘The Joke’. Composer and viola player Brett Dean studied in Brisbane before moving to Germany in 1984 where he was a permanent member of the Berlin Philharmonic Orchestra for over 15 years. Dean returned to Australia in 2000 to transform himself into one of the most internationally performed composers of his generation. Schubert’s final quartet, written when he was terminally ill, published posthumously, is symphonic in its depth and organization. The emotional range belies the expression of only four instrumentalists.